We are pleased to announce that QMA Design+Build, LLC has been selected as a 2006 Chrysalis Award winner for Remodeling Excellence. The renovation of our new offices at the 5000 Building in Ventnor was selected by the Chrysalis Award Judges as the Best Commercial Remodel Project for the entire State of New Jersey. Since 1993, The Chrysalis Awards have honored the finest remodeling projects in the nation that reflect the professional excellence of the residential and commercial remodeling industry. This is the fourth time that QMA has been honored for their design and professionalism in the past 12 months. Other Awards recently received by QMA include; 2005 NARI Contractor of the Year, 2006 NARI Contractor of the Year and being selected by Remodeling Magazine as a member of the 2005 Big50 honoring the 50 best remodelers in the Nation. There's little doubt that today's new homes are much more energy efficient than those of even a decade ago, and certainly compared to homes built before the "energy crisis" of the mid-1970s. Incredible improvements in the performance of windows and doors, major appliances, and heating and cooling systems have significantly lowered the energy consumption of new homes, helping lower utility bills and simultaneously improve the comfort of the home. Building codes, in part, can be credited with pushing energy efficient homebuilding into the mainstream. Builders today must comply with basic levels of home energy consumption prescribed in the code, from minimum window performance standards to adequate levels of wall and attic insulation and proper fresh-air ventilation. Codes also set guidelines for reducing moisture and air infiltration into the structure, which not only saves energy but also reduces incidences of mold growth and other moisture-related problems. In addition to more stringent and specific codes regarding energy-efficient homebuilding, there are an increasing variety of independent, public-private, and federally funded programs that promote the concept and even certify products and entire homes that meet energy-use standards. The most recognized among these entities is Energy Star, a government-sponsored program that certifies the energy use and cost savings of several thousand products from nearly 1,300 manufacturers, as well as builders and the homes they build. 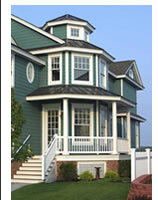 In response to both codes and independent energy standards, manufacturers of various building products have not only met the code and other independent standards, but also developed materials and methods that allow builders to exceed the minimum and achieve a higher level of energy efficiency and comfort for new homes. Such upgrades or options include super-insulating, multi-pane windows, extremely efficient furnaces and air-conditioning equipment, and electronic programmable thermostats, among several other examples. Builders who have taken the mantle of energy efficiency as a cornerstone of their businesses understand the added value of building homes that use less energy and cost less to operate. Their considerations extend beyond specific products. Energy efficiency is best achieved by looking at the entire system, including design issues and construction procedures, to achieve the goal of a more energy-efficient, comfortable, and long-lasting home. For example, consider your heating and cooling system. A builder who specifies and installs a higher level of insulation in the walls, floor, and ceiling, seals openings in the structure (including around doors and windows), and uses products and design techniques that provide natural shading, enable cross-ventilation, and reduce thermal transfer through your home will be able to reduce the size -- and thus the initial and operating cost -- of the furnace and air conditioning unit required to keep your home comfortable year-round. Chances are it will last longer and reduce repair and replacement costs. Working together, homebuilders, code agencies, independent certification groups, and product manufacturers continue to improve the energy efficiency of today's new homes. As a result, their efforts not only reduce energy use and costs, but also help stabilize our national economy, create longer-lasting homes, and boost overall housing value. c. 2006 All rights reserved. Mailing address provided above for CAN-SPAM compliance.